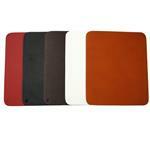 Take a look at our Custom Made Gallery. 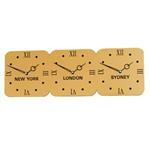 This retro time zone clock has a lot of attitude. Unlike the austere and clinical time zone clocks designed for most workplaces, this clock has a lively appearance that will brighten up any wall while allowing you to see different time zones. 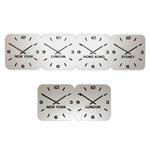 Featuring a simple yet elegant design, the face of the clock is made from glossy 3mm thick acrylic, which has the digits and time zones precisely cut out by laser. 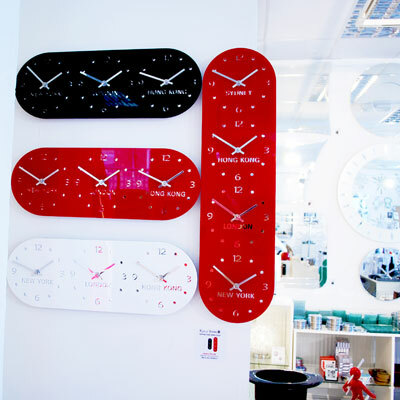 The backing for the clock is 3mm thick mirror acrylic which shines through the cut outs for a glorious display of reflections. 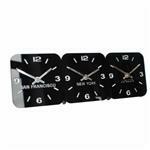 Because of the thick acrylic design, the clock has a very three dimensional quality. *Please Note* the time zone lettering will always be produced in capital letters. Custom Notes: please fill in the relevant custom fields with the city/country names you require one per field in the order you require. The city/country name will be placed as per the example image above. Please read the custom fields guide, click on the question mark for any questions. A well made - excellently customised product. Exceeded expectations. Well packed and speedily delivered. We contacted Dennis the next day after he posted his review to find out what the issue was, he followed our instructions to check various potential issues, it turned out one of the batteries was not contacting properly so was easily rectified. Great buy, perfect gift for friends moving away. Delivery was really quick thanks, arrived before they left! 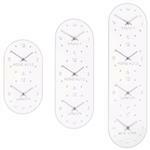 After I had struggled to adjust the hands on all three clocks, the end product was good. 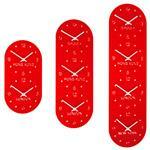 I also will need to put some indication on each face to show what time of the day it is !!! 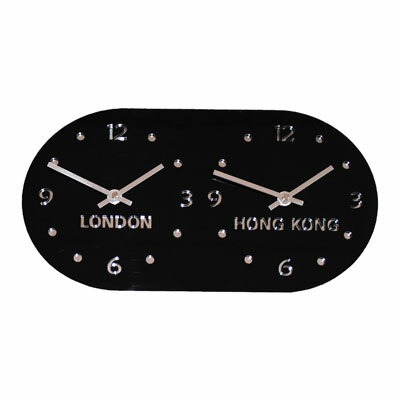 We are very sorry an error occurred in our warehouse, we got couriers to collect and deliver your correct clock, sorry for the further delay with the courier service. Clock arrived within a week and we are very pleased with the quality. Would definitely recommend. 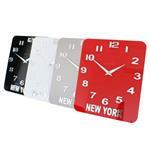 Purchased for our office which deals with varied time zones. Arrive in very good time and looks brilliant. Very impressed and would highly recommend. 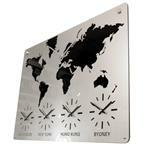 Ordered this clock for our daughter & family who are emigrating at the end of the year. Wanted something that would look good on any wall. When the clock arrived we were thrilled. It looks much better than on the website. The numbers & letters are mirrored & look very modern. 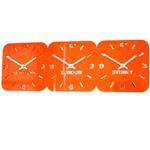 Good service and delivery, excellent clock, well made. 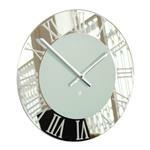 This clock is well made and looks very stylish in any setting. Service was very prompt. 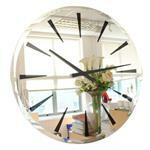 The clock fully meets our expectations and the service is excellent! 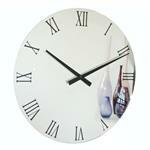 We were thrilled with the clocks - a gift for our Aussie son in law - and it's so much nicer than we expected! The photo doesn't do it justice. Highly recommend this. 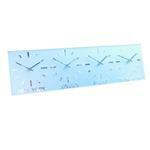 Received our dual time zone clock very promptly. 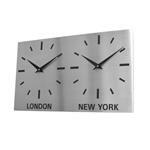 Ordered a large dual horizontal clock with London & Sydney on. Looks great in our kitchen/dining room. Packaging was brilliant, love this clock! 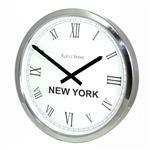 I am delighted with my bespoke time-zone clock. It is a 30th birthday gift for my nephew who lives in New York, but i wanted him to remember his home town too!